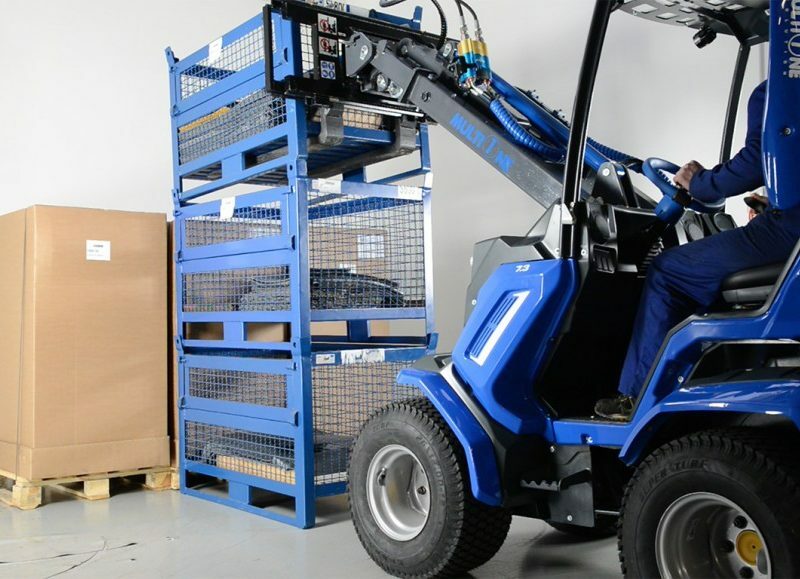 Simple controls, high traction, high top speeds, a far-reaching boom, and a wealth of attachments make a MultiOne mini loader the perfect choice when you need to move any kind of material from palleted goods to awkward-shaped objects. 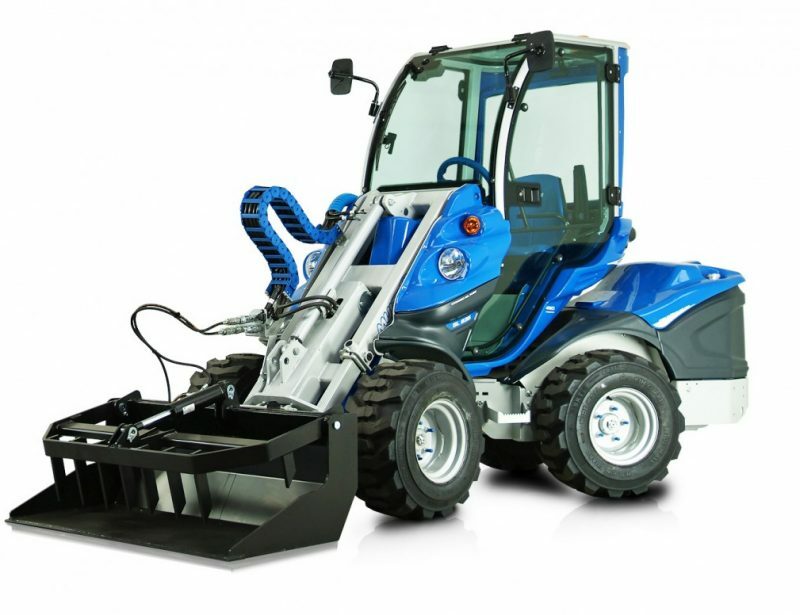 MultiOne’s mini loaders have the same compact footprint as a skid steer loader, but the independent wheels and jointed chassis allow the loader to make tight turns with minimal scrubbing, protecting turf and increasing traction. 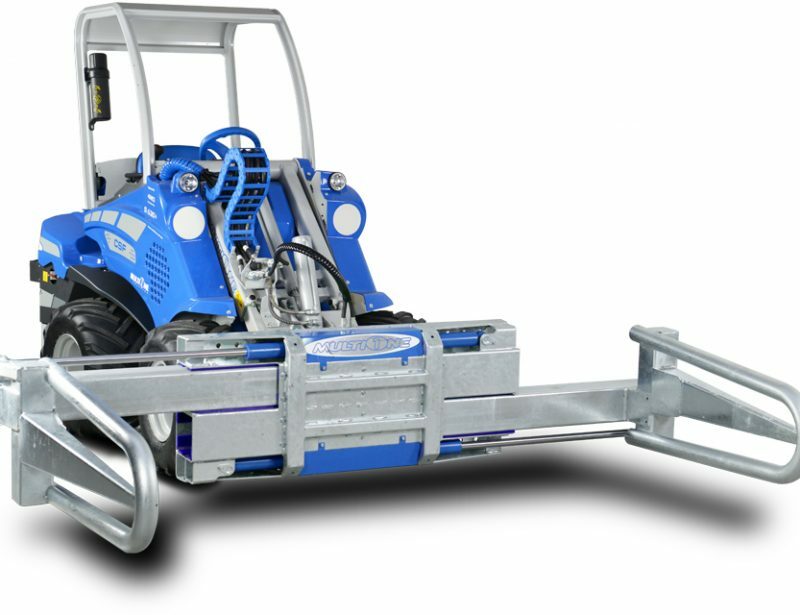 The drive system also allows higher top speeds so you can cover ground faster. 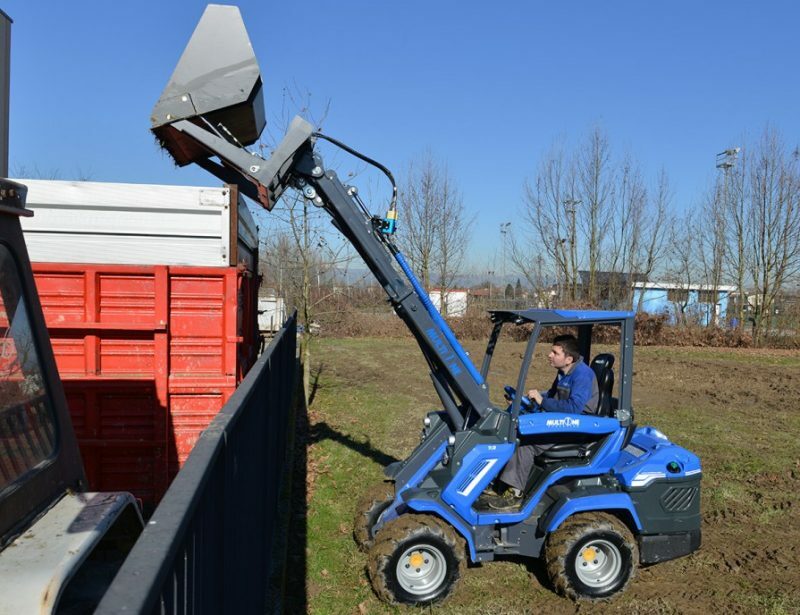 MultiOne knows their loaders are used in a wide range of environments, so they offer several tire options to fit workplaces from warehouses to farms. 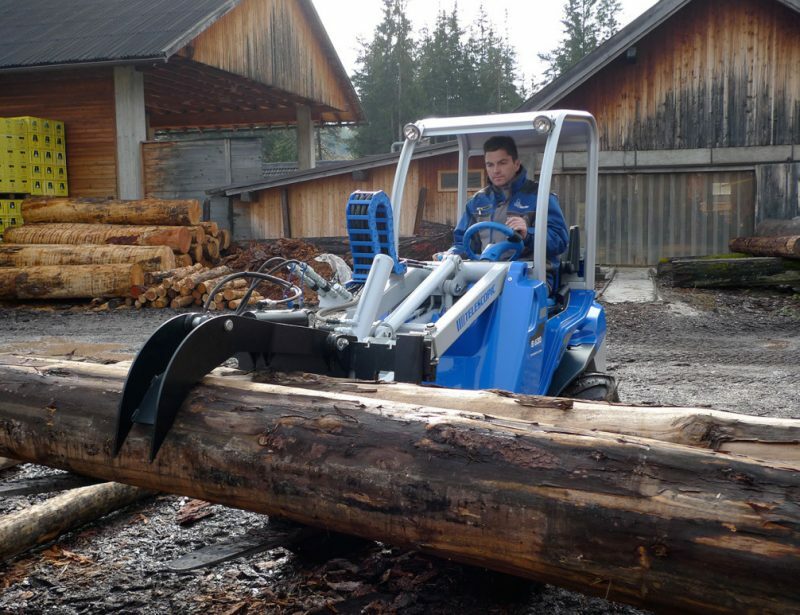 There are pedals and a steering wheel like a car for driving, while the boom and attachments are controlled using a single stick, much like a modern tractor. 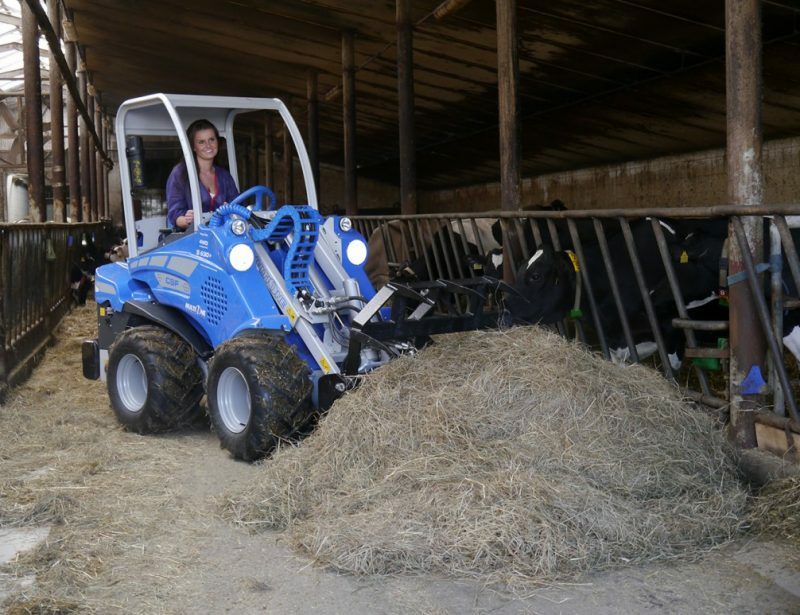 This means learning and mastering a mini loader takes far less time than getting acquainted with a skid steer’s dual stick controls or a forklift’s rear steering system. 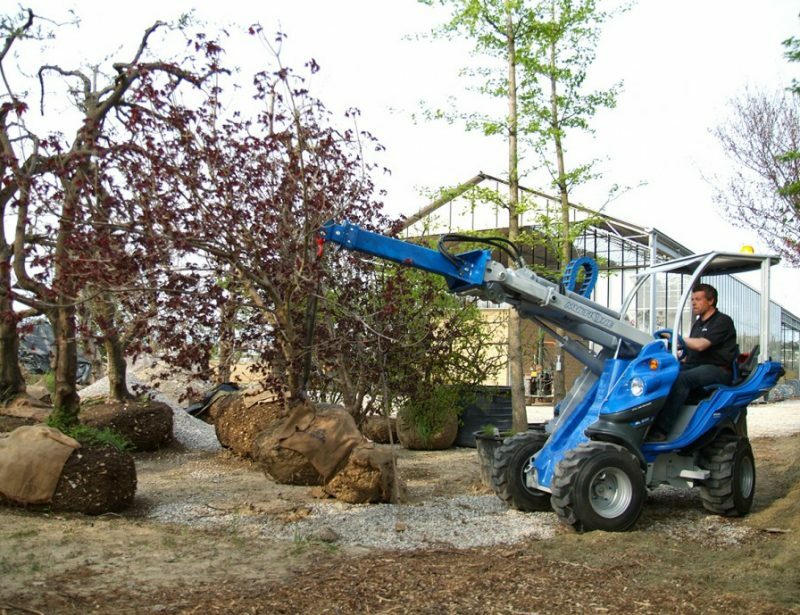 The design also puts the operator up high with a clear view of the surroundings and the attachment for easy loading and transport. 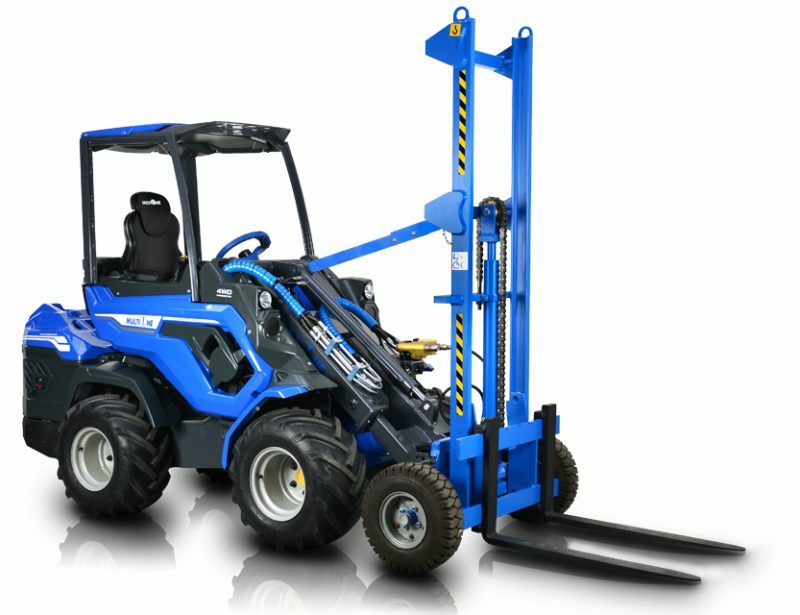 Instead of using a set of arms that run along the side of the chassis or a vertical mast in front of the driver, the loader has a boom that can extend both upward and forward, letting it reach where skid steers and forklifts can’t. That means flatbed trailers can be loaded from one side, saving time driving around. 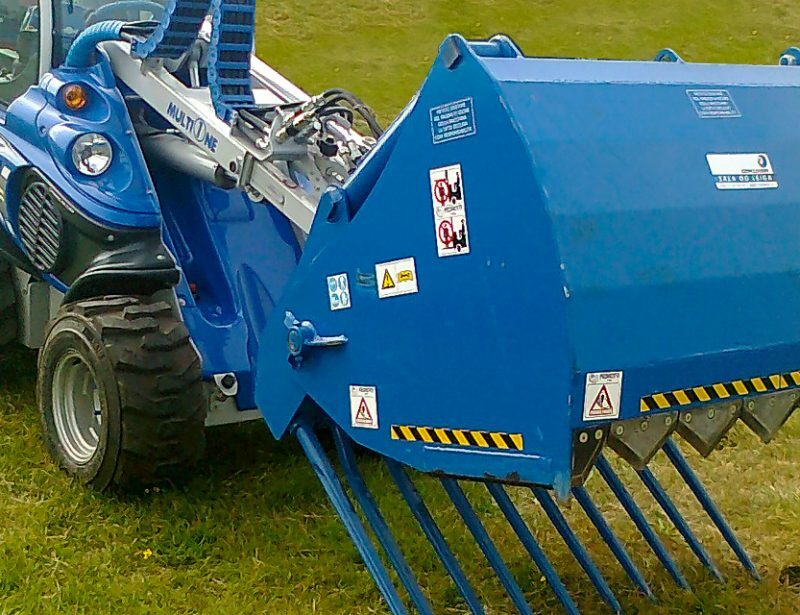 If you need extra reach, there’s a high tip bucket designed to extend over truck and trailer beds from ground level. Need maximum weight capacity? 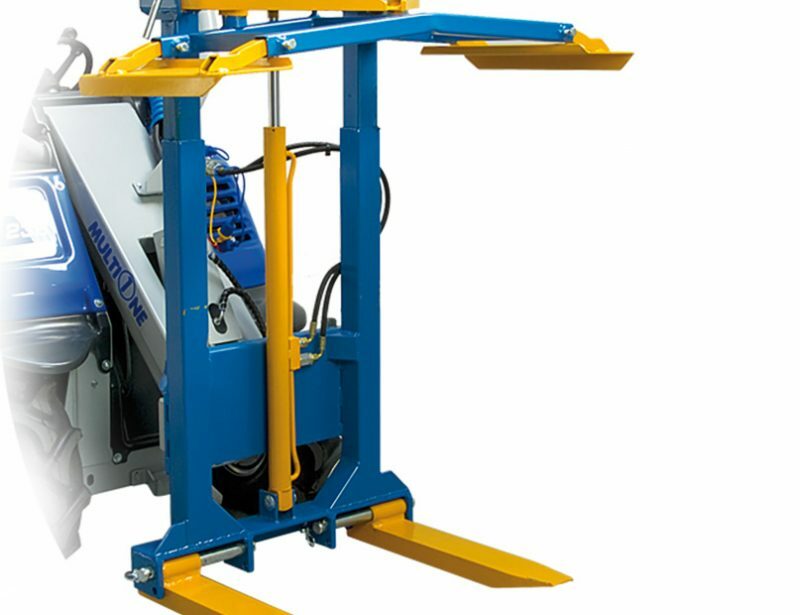 The loading trolley works like a forklift and is self-supporting for increased strength. 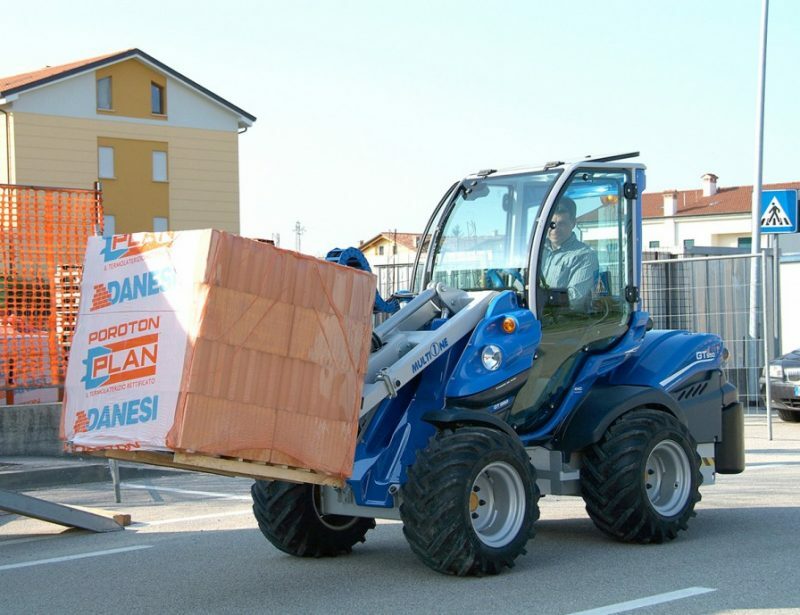 If It Can Be Lifted, MultiOne Makes an Attachment for the Job. 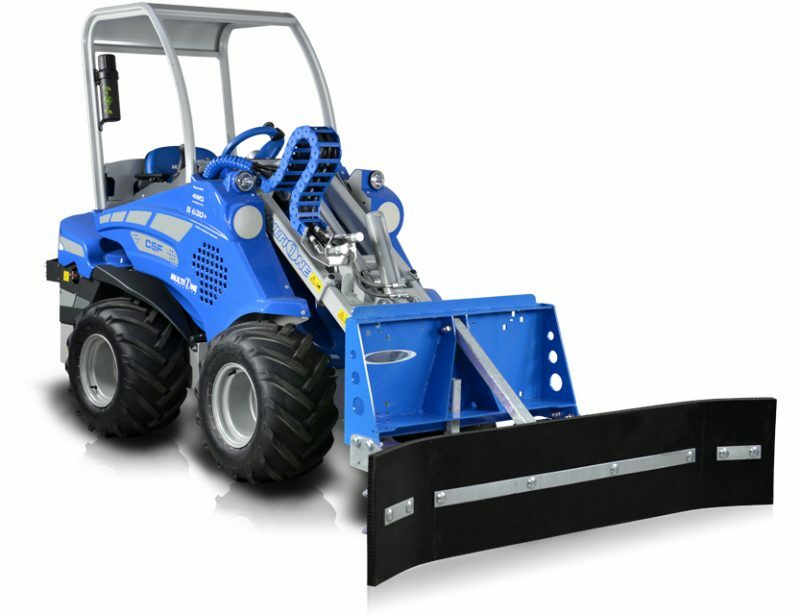 There are standard buckets, buckets with grapples, giant buckets for light materials, and a dumper for moving around waste products. Need to move pallets? 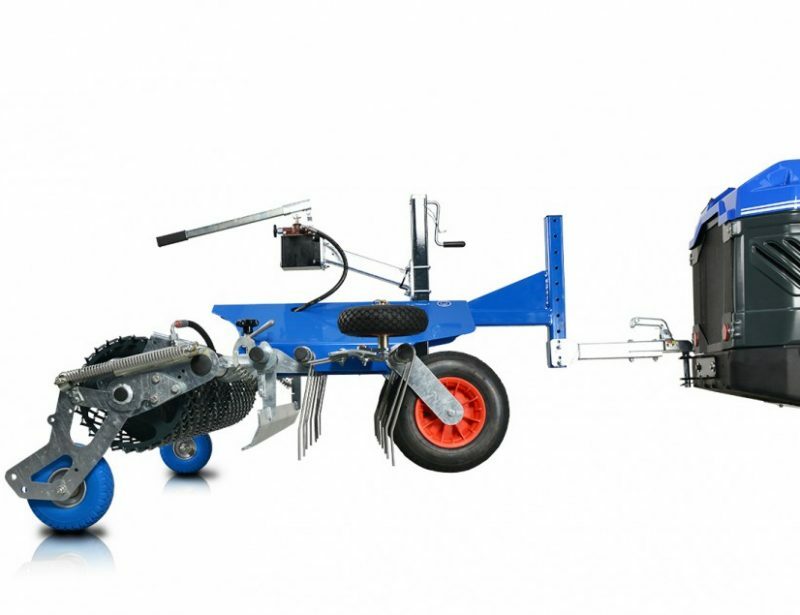 There are several options available including standard, side shifting and grappling forks. 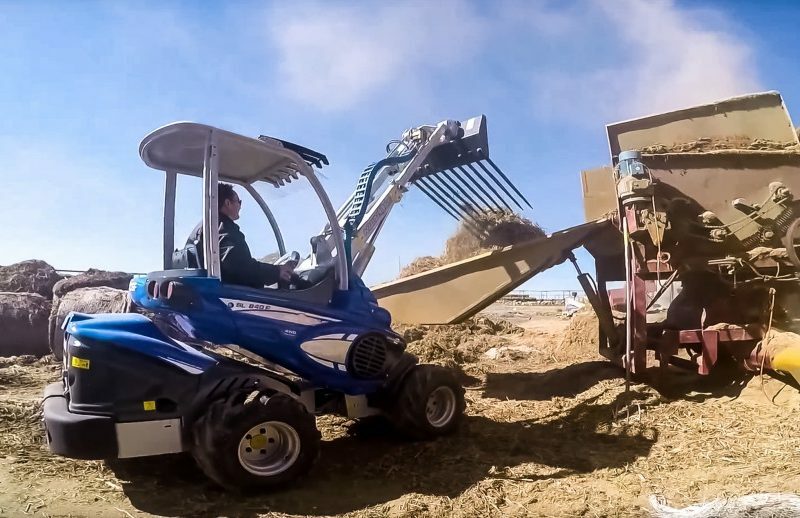 The boom’s mounting plate and hydraulic connector body are designed for quick tool changes so you can quickly switch between buckets, forks, and other attachments to fit the job at hand. 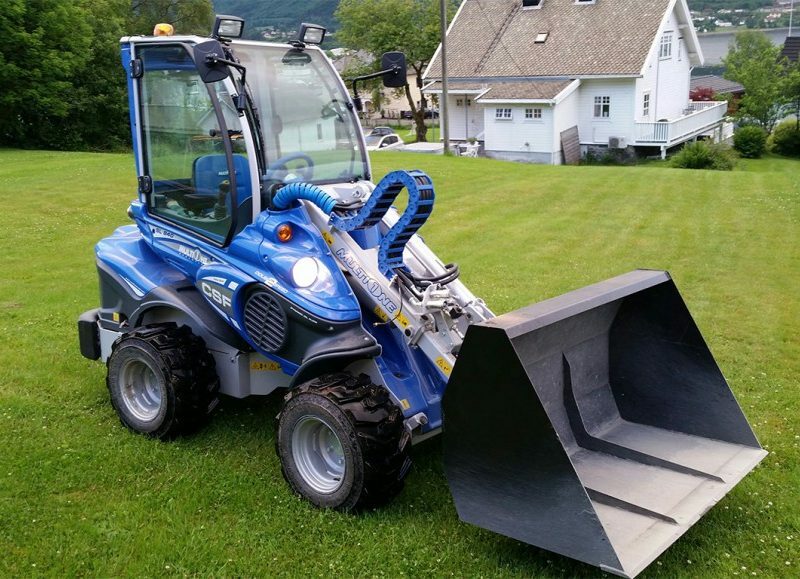 While you may get a MultiOne mini loader primarily for moving materials, any model you get will be compatible with a wide range of attachments. 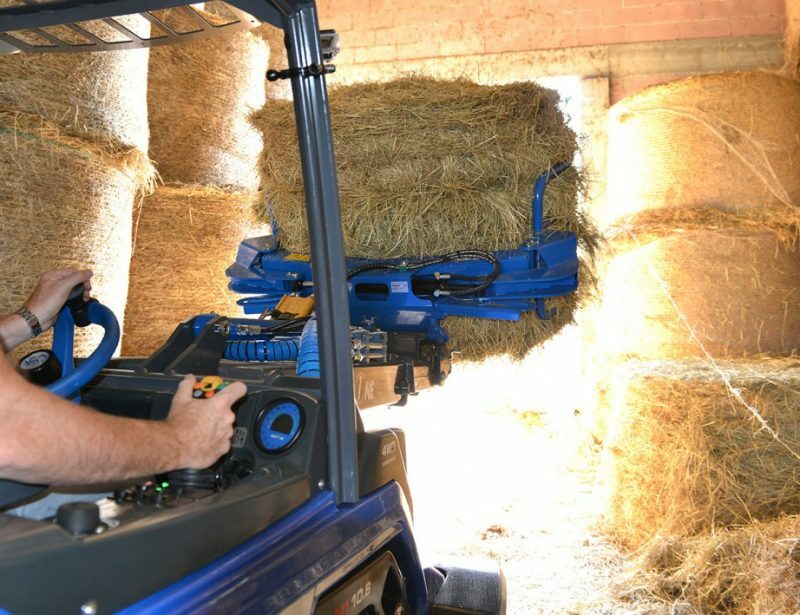 This means you can use your loader for other work as needed including construction, farming, and groundskeeping, making for a more cost effective investment than buying or even renting purpose-built equipment.